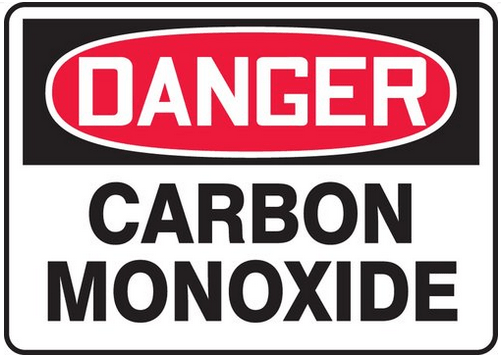 Carbon Monoxide or “CO” is one of the largest offenders during the winter because of gas appliances running throughout houses. CO is a colorless, odorless, tasteless, toxic gas derived from incomplete burning of combustible fuels. CO is extremely dangerous to everyone, including family pets, because it is impossible to see, taste or smell the toxic fumes. CO can kill you before you are aware that it is in your home. At lower levels of exposure, CO causes mild effects that are often mistaken for the flu, including headaches, dizziness, disorientation, nausea and fatigue. Effects of CO exposure can vary greatly from person to person depending on age, health and the concentration and length of exposure. 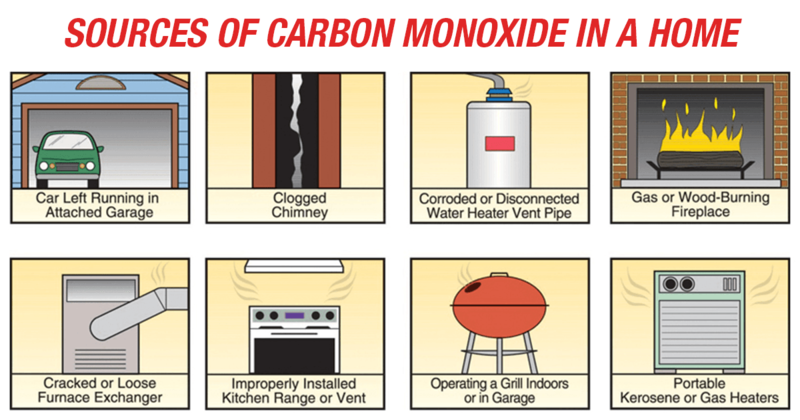 Additional sources of Carbon Monoxide include, but are not limited to: un-vented kerosene and gas space heaters; leaking chimneys and furnaces; back-drafting from furnaces, gas water heaters, wood stoves, and fireplaces; gas stoves; generators and other gasoline powered equipment; automobile exhaust from attached garages; and tobacco smoke. At low concentrations of CO, some of the health effects are fatigue in healthy people and chest pain in people with heart disease. At higher concentrations, health effects include impaired vision and coordination, headaches, dizziness, confusion, and nausea. CO can cause flu-like symptoms that clear up after leaving your house. CO is fatal at very high concentrations. Acute effects are due to the formation of carboxyhemoglobin in the blood, which inhibits oxygen intake. At moderate concentrations, angina, impaired vision, and reduced brain function may result. At higher concentrations, CO exposure can be fatal. Do not idle vehicles in garages, especially if they are connected to houses. If your CO detector has activated, please take it seriously, even if you do not feel ill. The CO detectors have specialized sensors in them so they will detect the toxic fumes before you will, they do save lives. Once the CO detector has activated, please dial 911 and evacuate your residence, stand outside, and wait for the fire department. On your way out, make sure all windows and doors are closed. If you have a CO leak inside your house, you want to keep it there as long as possible so the fire department and gas company can locate the source with their meters. You need to keep the fumes inside the house, so we get an accurate reading. Also, during Daylight Savings time, we hope everyone changed their batteries in their smoke detectors. The Penn Hills No.7 VFC would like to wish everyone a happy holiday season and we hope everyone will take extra precautions to prevent injuries and illnesses to their loved ones.